A colon cleanse supplement that makes it easy! This product contains all you need and is the perfect blend of fiber, healing herbs and nutrition to assist your body's natural colon cleansing process. No need to look further, I've been using this with my clients for over 20 years and it's still the best on the market. But you can't find it in stores, so get a discount by becoming a member. And don't worry, there's no obligation to sell, just buy it for yourself, because there's no minimum, monthly purchase or pressure. Learn More or simply get it fast on Amazon, below. A colon cleanse supplement may be in pill or powder form, and let's face it; there are hundreds to choose from. But what makes them different? Colon cleanse supplements often come as a package, sometimes including 1 pill or powder with some using up to 5 different containers of pills or powders. No matter how they are sold, many consider them a "program." 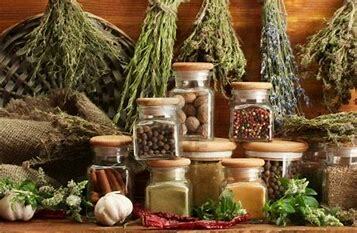 Each brand uses it's own special combination of herbs and fibers. Some may include extras such as probiotics, extra nutrition in the form of dried vegetables, or may even include a type of laxative. There was a day when you could just choose a product with ingredients that you knew to work. But today, with more competition and some unethical companies, we have to be more discerning in our choices. The downside of too many companies jumping on the "cleanse bandwagon," is that in the pursuit of profits comes the addition of ingredients that may be fake, substandard or simply not good for you. So how do we know which products are good? First, consider the maker of product. "Smaller" companies seem to be more trustworthy, and this was proven in 2015 by the NY State Attorney General's office when they collected and tested supplements to find the truth. According to their findings, GNC, Walmart, Target and Walgreens were all guilty of selling herbal supplements that contained allergens (such as wheat and beans) without labeling them and other ingredients not disclosed on the label. Worse yet, 19 or 25 of the herbal products tested were "unrecognizable or from a plant other than what the product claimed to be." (Naturalsociety.com) Another study found other companies guilty of this, too. Follow a healthy diet like I write about in The SpringClean Cleanse, cleanse guide; this guide is designed to help you cleanse to reach your personal goals. Use colon hydrotherapy to help your body become more efficient. If colonics are unavailable or too expensive, try a home Colema Board. But, as some doctors and scientists note, this may be due to the new technology of barcoding DNA testing; the system cannot identify a highly processed herb, therefore labels it as a "substitute," or unidentifiable. But do we really want these highly processed herbs in our products, even if the product is correctly labeled? When looking for a reputable colon cleanse supplement, first ask people you know (if you know anyone who has cleansed, of course). If your friend/acquaintance has had good results they will share, and if not, then at least you know what product to avoid. Another plan is to ask a local health professional. Visit your local, small health food store and ask the vitamin professional what they think the best colon cleanse supplement is. Smaller stores often hire professionals who know about herbal products, because this helps the customer purchase a beneficial product. And small companies have a reputation to worry about, since they rely on return customers and word of mouth - unlike larger stores who simply need to turn a profit. And yet another strategy is to make an appointment with a local health practitioner. A nutritional consultant, holistic health coach, massage therapist, colon therapist or even a chiropractor might all have their favorites brands. These professionals usually work with the products daily and most likely use the supplements as well as advocate them. Digestive issues comprise the number one health problem in North America. And our bodies are becoming increasingly polluted with toxins found in the environment and in the foods we eat. Getting adequate fiber and cleansing, (aka detoxifying) are two often overlooked elements of maintaining not only digestive health but also whole body health. But this is easily remedied by using a great colon cleanse supplement. 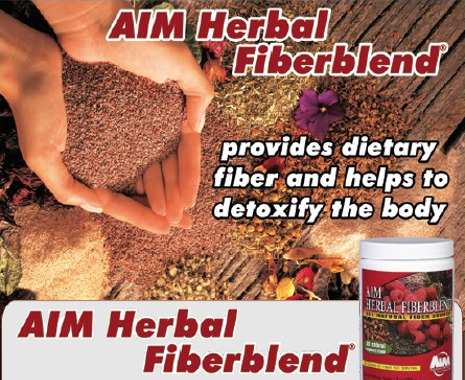 AIM Herbal Fiberblend provides the fiber that is often lacking in our diets and it contains cleansing herbs. This unique combination provides the perfect way to maintain your digestive health, keep your digestive system clean, and experience other benefits that are indicative of whole body health. The herbs in Herbal Fiberblend are the perfect combination to help your body cleanse. So while other products may contain similar ingredients, they do not work as well as they do in this product. Here are just some of them. that may become addictive if misused.